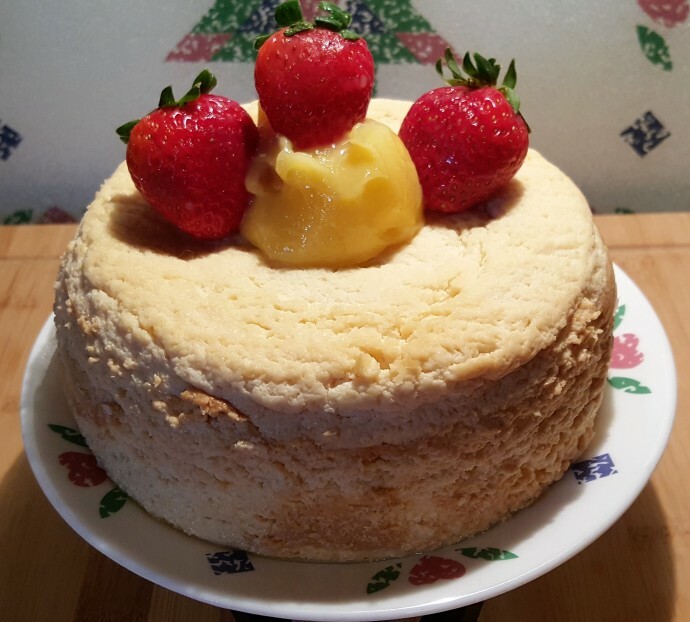 Pressure Cooker Authentic Italian Ricotta Cheesecake is a lighter alternative to a standard New York Cheesecake. Years ago, I was dating an Italian fellow from New York. We took a trip to Long Island and I met his family, including his Great Grandmother. Jews and Italians get along well; we love to cook and feed everyone, so she was happy to give me her recipe for this amazing Cheesecake. 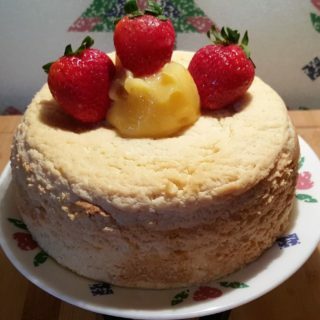 Unlike regular Cream Cheesecake, Pressure Cooker Authentic Italian Ricotta Cheesecake is very light and ‘fluffy.’ It’s also about 50% less calories than a regular New York Cheesecake. That being said, you might enjoy my Cookies ‘N Creme Cheesecake, Meyer Lemon Cheesecake, Blackberry Cheesecake or New York Style Vanilla Bean Cheesecake. Also delicious, is my Lemon Ricotta Cheesecake. 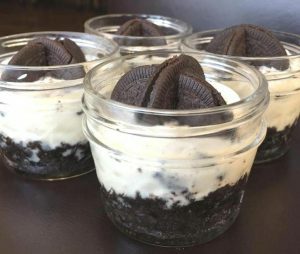 Some people like to make individual size cheesecakes using Mason Jars. 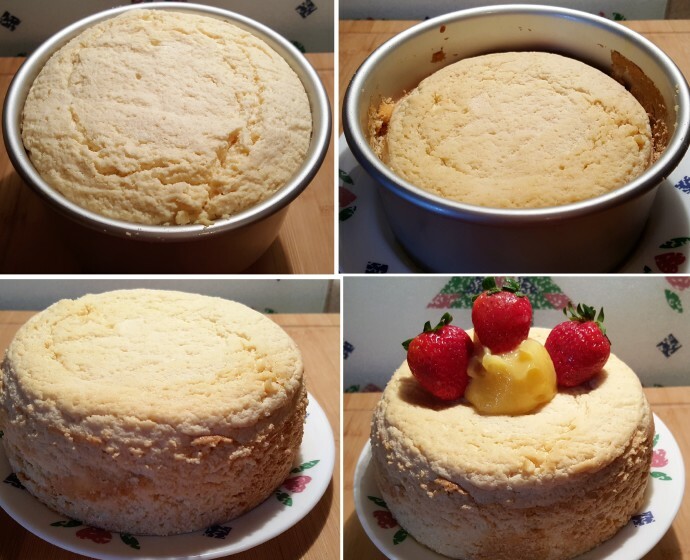 If you would like to do that for this Pressure Cooker Authentic Italian Ricotta Cheesecake, you will only need six Kerr Half Pint (8 oz) Mason Jars or 12 Ball 4 oz Mason Jars. Weigh the ricotta cheese and the sugar. I made this cake with 1.5 pounds of cheese, but some people prefer less cheese, so the recipe is written for one pound of ricotta cheese. I love this Baker’s Math Kitchen Scale so that I only have to dirty a bowl and not use measuring cups or spoons. Separate out the egg yolks and the egg whites, as you will whip up the egg whites to soft peaks. Add the sugar, lemon and orange zest to the bowl and whip it together until smooth. Add the egg yolks one at a time, mixing after each yolk. Mix it all nice and creamy. Then in a separate bowl, mix the eggs whites until soft peaks form. Carefully fold the egg whites and cream into the cheese mixture. Pour the batter into the pan. I used a 6 inch Fat Daddio’s Push Pan for this cake as I prefer a taller cake. 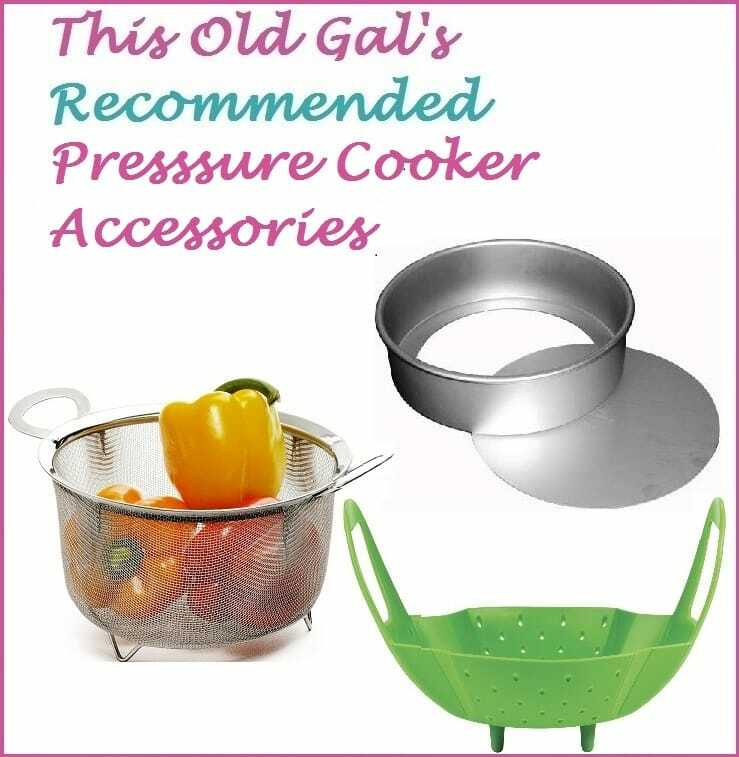 I’ve recently started using Grafiti Bands Cross Style as it makes it so easy to get pans and bowls in and out of the Pressure Cooker. The Grafiti Bands will hold the paper towel in place. If you don’t have Grafiti Bands Cross Style, you might prefer a Sling/Vegetable Steamer or just make one out of tin foil by tearing off a two foot piece and folding it in half, the long way, twice. Cover the pan with a paper towel and then a piece of foil. Expect the cheesecake to fall about an inch.Let the cheesecake cool for an hour and then place in the refrigerator overnight. Try my Fool Proof Lemon Curd or my Pressure Cooker Easy Lemon Curd on top. Some delicious toppings to try are my Pressure Cooker Fresh Berry Compote, my Pressure Cooker Fresh Strawberry Compote, and my Gooey Hot Chocolate Fudge Ganache. In a strand mixer fit with the paddle, beat the cheese, sugar, egg yolks, cream, flour, lemon and orange zest, vanilla and liqueur on medium speed until very smooth, about 4 minutes. 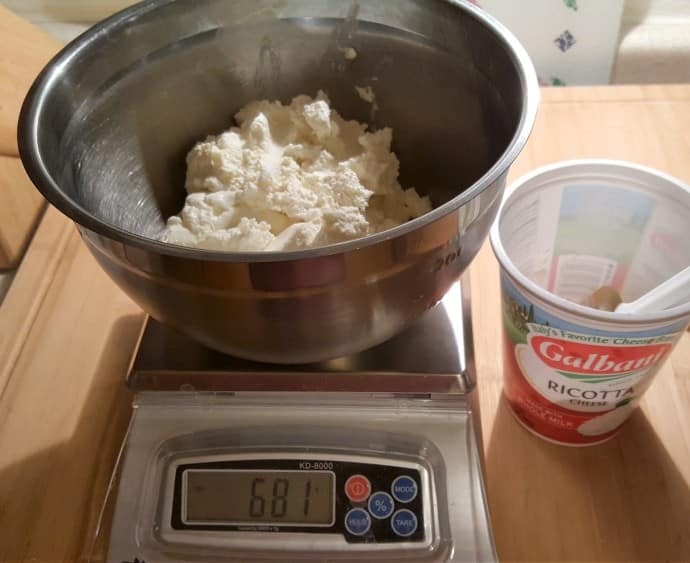 In another bowl, using a mixer, whip until soft peaks form. Pour mixture into butter pan and level. Cover with a paper towel and secure with a piece of foil. Lock pressure cooker cover into place. 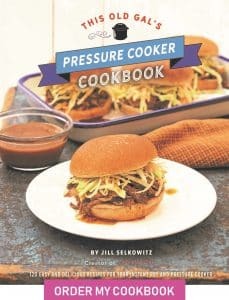 Set the pressure to high for 40 minutes. Allow a 10 minute natural release. If you use a 7 inch cheesecake pan, reduce cook time to 35 minutes. PIN this Pressure Cooker Authentic Italian Ricotta Cheesecake! 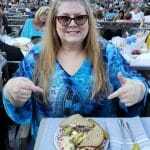 Hi Jill ~ Great recipes! I have a few questions about this one – what is the purpose of the paper towel and the foil? Is it to prevent water from getting on to the cake? I tried this method and the top of the cake got lifted off by the soaked paper towel. Any thoughts on what went wrong? Also, if I wanted to make mini cheesecakes in 4 inch springform pans, what would you recommend for the cooking time? Would you advise against stacking a couple of mini pans together in the pressure cooker? Thank you! Thanks for the compliment. The purpose for covering the cheesecake is to keep water out of the filling. Did you use a six or seven inch pan? You can omit covering the cheesecake next time. For 4 inch babies, I would suggest 20 minutes. Stacking is not a problem. Hi! Those Grifiti bands are an ingenious idea. What size do you use? I use all the sizes, depending on the pan. Hi! I tried this recipe. It cooked up well….and though I haven’t tasted it yet, since it’s cooling, it “looks” good, except for one thing: when I take the paper towel off of the top, once I lift it out of the Instant Pot to set on the cooling rack, the paper towel tears off the very uppermost layer of the crust. Do you think wax paper would be a better idea? When I fill the 7″ springform mold, it comes just about to the top of the pan, and thus, the paper towel/foil covering touches the batter while it’s baking. I could perhaps pour a little less batter in the pan… but just wanted to get your take. The caramel topping I covered the top with doesn’t really disguise the ripped up parts of the top. 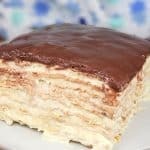 Another humble suggestion to an otherwise nicely written recipe: In step 2 of “filling” section, I think you should insert: whip EGG WHITES until soft peaks form,” to be more clear. You can eliminate the cover, if you like. I’m doubling this recipe today to make two for Easter. Fingers crossed haven’t made a cheesecake yet and a little nervous about the papertowel but feel like it is necessary for moisture. Wish me luck! 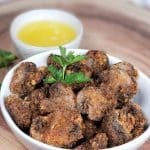 Thanks so much for shareing this recipe. I grw up in New Jersey any often got this cheese cake at a local bakery. 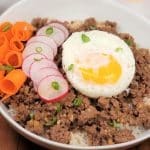 Have been searching for years for a recipe but didnt know what it was called. Can’t wait to try it! Step 2 indicates something is to be whipped – assuming this is the Whip Cream. At what step is it incorporated into the cheese mixture? Along with the eggs? I have a couple of questions. 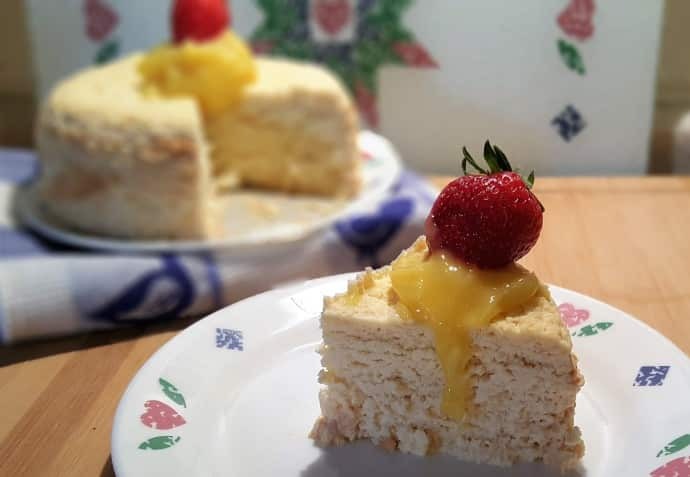 You wrote: I made this cake with 1.5 pounds of cheese, but some people prefer less cheese, so the recipe is written for one pound of ricotta cheese. If i want the .5 pound more cheese, do I need a different recipe? Or does everything stay the same just more cheese? I also will be using the 8″ fat daddio cheesecake pan that fits into my ppcxl with push bottom, what would the time be on this pan and more cheese? 35 minutes like the 7″ in or different? I crossed toes and fingers on this one, ricotta cheesecakes and I don’t get along. Cream cheese based cheesecakes no problem, but when ricotta sees me coming, it becomes defiant on me. Too boot I’m using an instant pot. I was a little confused on the heavy cream, I didn’t see where to add that so I dumped it into the cheese mixture. Pretty sure that’s what the directions would have called for. And then I got a little nervous putting the pan on the trivet since the bottom of the pan pops out I was afraid is have a mess on my hands. I think the aluminum sling helped there. And I used the papertowl and glad that I did. It looks amazing! Can’t wait to eat it. I’d attach a pic, but I can’t. Hi can you put your associates link to Amazon silicone bands? I want to buy through you. I’ve made this several times. We enjoy the lighter texture of this cheesecake and the flavor is refreshing. Although we like the New York Cheesecake too, this is our first choice. 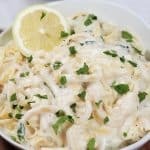 Thanks for sharing this recipe and all your knowledge with us. Next up to try is the banana bread.